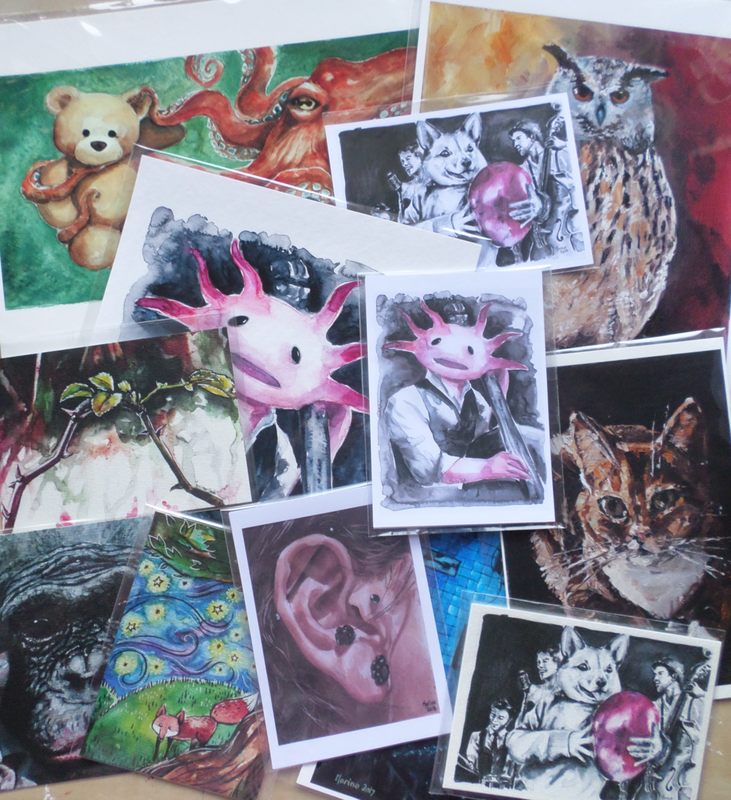 Here you can purchase original art pieces as well as A4, A5 and postcard prints of most of my paintings. For custom prints or to commission an art piece, please contact me directly. All original pieces are unique, signed, and accompanied by a certificate of authenticity. All prints are handmade with a high quality printer on heavy art paper and individually packaged in protective sleeves. Black lake is now available as a limited edition, handmade booklet.